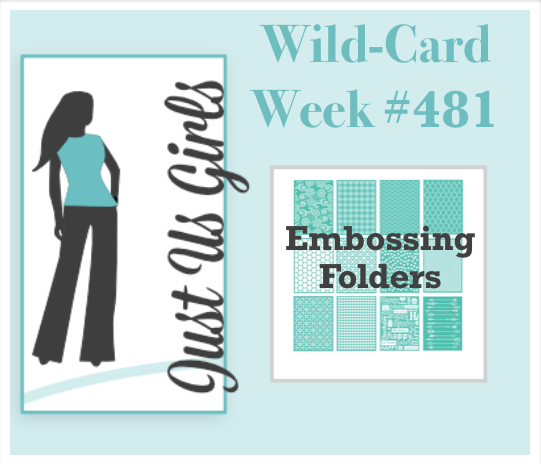 I mentioned the other day about a new delivery from Stampin Up, and this is the marvelous 3D embossing folder – plainly and simply embossed in white card, after die-cutting the rectangle with a Catherine Pooler die. The sentiment is from the other new delivery I had the other day from Catherine Pooler – the colours chosen from my Altenew inks – as I used them for my ‘Ocean’ card the other day and they were still sat next to my craft mat. 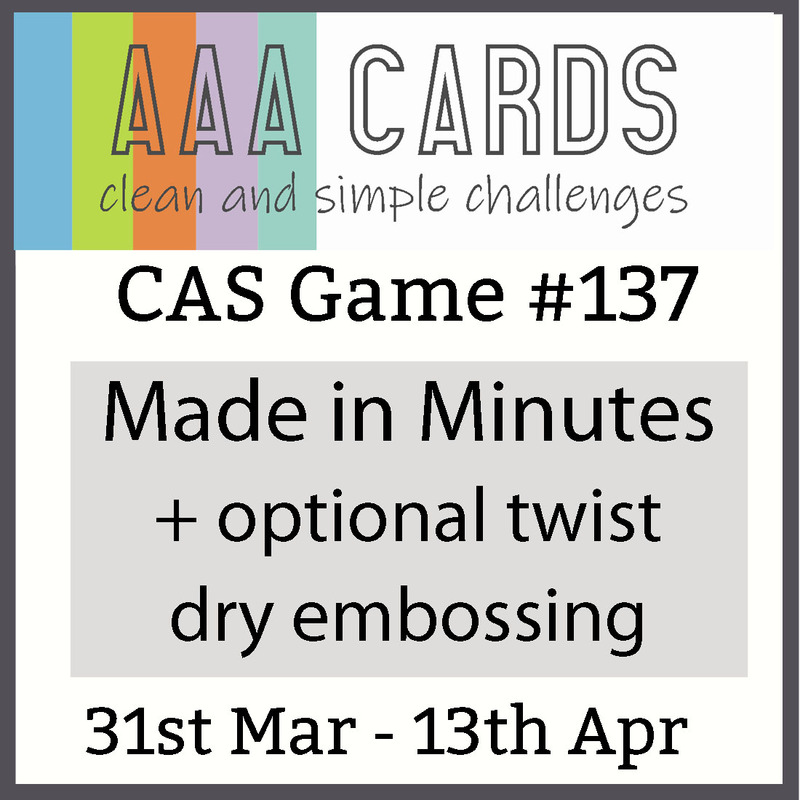 The second challenge is from AAA Cards, challenging you to make a CAS card in ‘minutes’, with the optional twist of dry embossing. I thought I had everything out and ready – but spent a minute realising that my Gemini Junior wouldn’t take the embossing folder at all – and I fiddled for a while trying it, with different layers, but then resorted to my Big Shot Pro – because I knew that would take anything! Another minute was wasted as I decided to add some stamped and die-cut hearts from the same Catherine Pooler stamp set – but then decided not to as I didn’t like how they turned out. The key to speed like this is planning………… I think this is the quickest card I have put together – and I am really, really liking this embossing folder……..